Yoga Practitioner Kathryn Varley brings 35 years experience of practise. 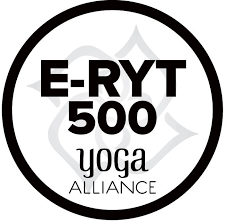 With Advanced Yoga Alliance 1000 hour certification in Kripalu Yoga she continues on the path of The Acharya Intensive with Devarshi Steven Hartman and Jovinna Chan. The foundation of her practise is meditation and in particular the non-dual teachings of Kashmir Shaivism. 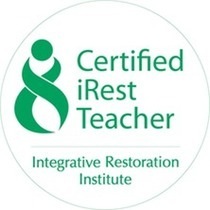 Trained in this tradition by her teacher Richard Miller PhD Kathryn is an IRI Certified iRest®Yoga NidraTeacher. 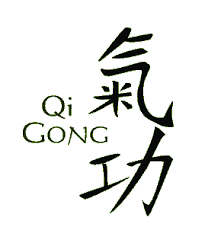 Introduction to Thai Qi and Qi Gong features in her classes. These form part of her personal practises which she finds helpful to share with students. The practises offer a deeper understanding of the importance of the opposites, balance and flow. And how through the power of the breath comes confidence in both ease of movement and receptivity to meditation. In 2015 along with 11 others, Kathryn was invited on a path of Acharya, a spiritual life study programme for teaching from life’s experience. Her teachers bestowed on her the name Premshakti. Prem means love and shakti is the feminine power of the mother energy principle or catalyst for creativity, nurture, abundance and change. Kathryn welcomes the privilege of connection to the ancestors and endeavour to carry the name with grace. Teaching experience began 25 years ago at Harley Street Osteopaths. She worked for many years with Osteopath and Yoga Teacher John Stirk, Fellow and Lecturer in Bio-Mechanics and Practical Osteopathy at the Royal College of Osteopaths, author of The Original Body. John’s practises were influenced by time spent with Vanda Scaravelli in Italy and the teachings of Krishnamurti. Kathryn continues to share yoga in community whether with special populations like her voluntary iRest yoga nidra work for the Sussex & Surrey Fibromyalgia Support Group or working with people challenged with addiction or mental illness. She holds regular weekly classes, months workshops and retreats. Still wondering …. so what kind of yoga is it? The most commonly asked question, ‘what kind of yoga is it.” Yoga is more than a definition by any other name than the word Yoga itself. Yoga is Life in wholeness, a state of equilibrium, Being Present. All practises are taught from the perspective of consciousness with the heart centred purpose of yoga, to develop awareness. Students are encouraged to feel into the different Koshas, layers of body and consciousness and to know their own yoga as it begins to open to awareness from the inside, as embodiment. When practises are embodied, we are no longer ruled by the ‘headquarters’ with its constant mind churnings and overwhelm from today’s constant input of tech. Embodied practises bring stability to mind and body whilst supporting the natural creative part of being human to surface. So you could say that we do not do yoga, yoga actually does us! Then there is no separation between Self and Yoga, we are One. 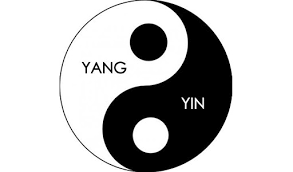 This then is the integration of our polar opposites as in Hatha, right brain, left brain, masculine, feminine, sun and moon. This is the meaning of Hatha Yoga and the purpose of the deeper practises as they present with Kashmir Shaivism and iRest Yoga Nidra. Kathryn holds a local clinic and does home visits for private personal individually tailored sessions. Suitable for any one seeking a deeper sense of peace, harmony and wellbeing. 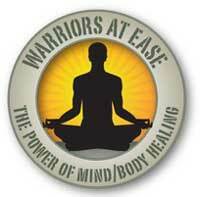 This may manifest as relief from pain, postural challenge, mental disturbance such as anxiety and depression or PTSD. Adaptive yoga teaches us how best to cope when life is just too much. For 25 years she has worked with special needs including addictions in rehabs, mental health in psychiatric hospitals chronic pain including fibromyalgia and chronic fatigue. She leads voluntary practice for the Sussex & Surrey Fibromyalgia Support Groups. Her work with anatomists and osteopaths intensified her curiosity of body-mind mechanics and along with meditation internalised a foundation for her practice. This combination of esoteric with structural form aids to intuit practices to best suit students needs so the body may receive the support and deep relaxation it needs to heal injuries, calm the nervous system and aid in restoring depleted energy reserves with a sense of calmness. Kathryn’s weekly classes, monthly workshops, courses and annual retreats all include iRest meditation as well as introduction to Thai Chi and Qigong. As a consultant Yoga Elder she offers modules to support Yoga Teacher Training and Yoga Teachers offering Post Graduate programmes. 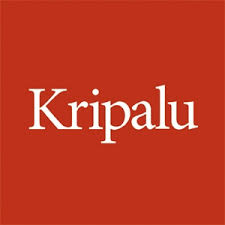 She is available for professifonal consultancy and private one to one. All yoga shared is adaptive, remedial and therapeutic and is individually tailored to personal needs. It is Kathryn’s absolute joy to share her practice with the community. Come and practise with a Beginners Mind, for a Beginners Mind is always fresh and curious and a Beginners Mind never grows old. The physical body is composed mostly of water. When we heighten fluid activities, whether it be circulation, intercellular fluids or interstitial fluids, we are heightening resonance within the fluid body. This increased sensitivity allows access to our true nature, our natural power, our Life Force. Life Force flows not just through the physical body but through our whole being. Life Force is that which connects us to one another and to all life. In yoga this is known as prana. In the Martial Arts and Chinese tradition is called chi. With ahimsa, a non-violent approach of no forcing and no compromise and satya, truthfulness, coupled with the willingness for self-study swadhayaya, comes the possibility of being at ease in body and mind with a heartfelt sense of our own true limitless nature.